Article No. 1 is under update as requested by author. Abstract: Soymilk from TGX 923-2E soybean variety sprouted for 72hrs after 12 hours tap steeping was fortified with ferric ammonium citrate (Fe), calcium (Ca) and vitamin C (VC) according to Box-Wilson (1951) experimental design matrix. A central composite rotatable response surface design(CCRRSD) for K = 3 was employed to examine the linear, quadratic and cross product effects of independent process variable concentrations at 5 levels, Fe (1, 2, 3, 4 and 5mg/100ml), Ca (50, 100, 150, 200, and 250mg/100ml) and VC (8, 16, 24, 32 and 40mg/100ml) on the nutrient density of fortified soymilk stored at ambient temperature for 12 weeks. A total of 21 experimental runs were generated and the response surface data for each run were statistically regressed and analyzed for variance using Minitab computer software (version 11.21). Three-dimensional response surface figures were plotted with Matlab software (version R 2007b) to visualize the effects of fortificants variables on the responses. Results obtained showed that all the fortificants were significantly (p ≤ 0.05) linearly related to their respective responses. None of the response micronutrient met the respective RDI per serving except samples with variable combinations 2, 100, 32; 2, 200, 32; 4, 200, 32 and 3, 150, 40mg/100ml for ferric ammonium citrate, calcium carbonate and vitamin C respectively. Okwunodulu, I. N. & Iwe, M. O. (2015). Micronutrient evaluation of fortified soymilk from sprouted whole soybean for complementary feeding using response surface methodology. 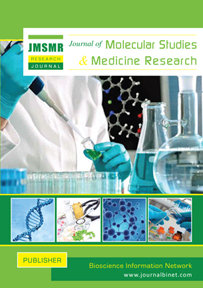 Journal of Molecular Studies and Medicine Research, 01(01), 16-25. Okwunodulu, I. N. & Iwe, M. O. “Micronutrient evaluation of fortified soymilk from sprouted whole soybean for complementary feeding using response surface methodology.” Journal of Molecular Studies and Medicine Research, 01.01 (2015): 16-251. Okwunodulu, I. N. & Iwe, M. O. “Micronutrient evaluation of fortified soymilk from sprouted whole soybean for complementary feeding using response surface methodology.” Journal of Molecular Studies and Medicine Research, 01, no. 01 (2015): 16-25. Abstract: Viscosity of soymilk extracted from 12hrs tap water steeped and 72hrs sprouted TGX 923-2E soybean variety fortified according to Box-Wilson (1951) experimental design matrix using ferric ammonium citrate (fe), calcium carbonate (Ca) and vitamin C (vC) fortificants was optimized. Central composite design (k = 3) was used to develop a prediction model to investigate the influence of these fortificants on the viscosity. Data on each run were statistically regressed with Minitab (version 11.21) computer software. Regression models showed that calcium carbonate (CaCO3) had significant (P ≤ 0.05) increasing effects on viscosity. Fortified soymilk exhibited an apparent non-ideal Newtonian viscosity with alternating pseudoplastic and dilatant flow behaviours. Maximum viscosity was obtained from fortificant combinations 2, 250, 24 for ferric ammonium citrate, calcium carbonate and vitamin C.
Okwunodulu, I. N. & Abasiekong, K. S. (2015). Rheological behaviour of fortified soymilk from sprouted soybean for complementary feeding: a response surface analysis. Journal of Molecular Studies and Medicine Research, 01(01), 26-33. Okwunodulu, I. N. & Abasiekong, K. S. “Rheological behaviour of fortified soymilk from sprouted soybean for complementary feeding: a response surface analysis.” Journal of Molecular Studies and Medicine Research, 01.01 (2015): 26-33. Okwunodulu, I. N. & Abasiekong, K. S. “Rheological behaviour of fortified soymilk from sprouted soybean for complementary feeding: a response surface analysis.” Journal of Molecular Studies and Medicine Research, 01, no. 01 (2015): 26-33. Abstract: The use of agricultural wastes in the treatment of metal-bearing effluents is one of the recent techniques that had been found to be environmental friendly. This work recommended the coat of fluted pumpkin seed a good biosorbent through adsorption process in a batch experiment. Variation of important operational parameters such as pH and temperature were used to explore their effect using 1 g of 250 μm size of both unmodified and mercaptoacetic acid modified fluted pumpkin seed coat at contact time of 1 hr with initial metal ions concentration of 100 mg/l. The adsorption efficiency of the metals was pH as well as temperature dependent with nearly 100% adsorption by both unmodified and modified fluted pumpkin seed coat. Specifically, cadmium was adsorbed more strongly at low pH of 2, 4 & 6 by the unmodified coat of the fluted pumpkin seed while it was at higher pH of 10 by the modified seed coat. The same is applicable for nickel which indicated higher adsorption at 2 by the unmodified seed coat and 10 by the modified one while higher adsorption for lead was shown at pH of 2 for both unmodified and modified ones. Maximum adsorption was equally achieved at low temperature (303K) by both unmodified and modified seed coats, though unmodified seed coat showed slightly higher adsorption than the modified seed coat. The values of Ea, , gotten indicated that the adsorption process is by physical adsorption, spontaneous, feasible and exergonic (release of free energy), endothermic and occur with increasing degree of orderliness. Uchechukwu, O. F., Azubuike, O. S. & Okon, E. N. (2015). Temperature and pH influence in sequestering cadmium, nickel and lead ions from synthetic wastewater using fluted pumpkin seed coat. Journal of Molecular Studies and Medicine Research, 01(01), 34-40. Uchechukwu, O. F., Azubuike, O. S. & Okon, E. N. “Temperature and pH influence in sequestering cadmium, nickel and lead ions from synthetic wastewater using fluted pumpkin seed coat.” Journal of Molecular Studies and Medicine Research, 01.01 (2015): 34-40. Uchechukwu, O. F., Azubuike, O. S. & Okon, E. N. “Temperature and pH influence in sequestering cadmium, nickel and lead ions from synthetic wastewater using fluted pumpkin seed coat.” Journal of Molecular Studies and Medicine Research, 01, no. 01 (2015): 34-40. Abstract: The present study is an attempt to reveal the health condition and the accessibility of the selected basic services of the slum children of Khulna city. A qualitative interpretative approach was followed to analyze the data gathered through multi-method data collection approaches consisting of observation, structured questionnaire surveys and informal interviews in inside and outside the community. A total of 400 households with 200 respondents (100 parents and 100 children) were interviewed through a random sampling method and a few focus group discussions were organized to get a real and detail present and the past picture of the study area. Information on socio-economic background, facilities of basic services, condition of children’s health, education, sanitation practices along with other facilities such as medical facilities were collected. In the study area, only 10% children can complete their secondary school certificate and the other deprive because of poverty and unconsciousness. There are very limited accesses to safe drinking water supply and sanitation facilities in slum area. Moreover, the children are living in an unhygienic and overpopulated environment for a long time. Although 100% latrine is pucca (i.e., constructed by brick and cement materials) in the study area, most of the children’s feces is dispose in open spaces. Hand washing practices is also not proper among children where only 60% children use soap after defecation and 5% children use soap before taking meal. That’s why the children are suffering from frequent waterborne disease. The highest affecting disease is diarrhea (40%). From the study results it is also found that, parents in the slum are not enough knowledgeable about child health care. Although various non-government organizations and government organizations are trying to solve the urgent problems in order to achieve millennium development goals. Jahan, S. & Urba, T. R. (2015). Assessment of the children’s health condition of urban slum area: a case study on Khulna municipality, Bangladesh. Journal of Molecular Studies and Medicine Research, 01(01), 41-47. Jahan, S. & Urba, T. R. “Assessment of the children’s health condition of urban slum area: a case study on Khulna municipality, Bangladesh.” Journal of Molecular Studies and Medicine Research, 01.01 (2015): 41-47. Jahan, S. & Urba, T. R. “Assessment of the children’s health condition of urban slum area: a case study on Khulna municipality, Bangladesh.” Journal of Molecular Studies and Medicine Research, 01, no. 01 (2015): 41-47. Abstract: Opsonins are specialized biomolecules responsible for recognizing the pathogens to be crushed by our immunity which, is considered as the main precursor of undergoing any phagocytosis reaction inside the body environment. In the absence of these molecules autoimmunity and hypersensitivity may take place on regular basis. A number of research programs and projects have been launching for the opsonin research purpose, where new theories of human immunity and molecular interference in our defense mechanism are revealed from each project. Complement cascade produces opsonin as a by-product. The complement receptor 3(CR3) and Fc gammareceptor (FcgamaRs), two important phagocytic receptors, mediate phagocytosis in the cellular level. In the following passages the pathways of opsonin activity in secondary immune response, mechanism of phagocytosis reaction, role of other complement system and antibody in defense purposes, clinical aspects of opsonization and the future of opsonin research are described quite transparently. The molecular structures and proteomic modeling is the main way of revealing new technologies of drug designing both in molecular and nano-scale level. Azad, S. A., Shahriyar, S. & Mondal, K. J. (2016). Opsonin and its mechanism of action in secondary immune response. Journal of Molecular Studies and Medicine Research, 01(02), 48-56. Azad, S. A., Shahriyar, S. & Mondal, K. J. ''Opsonin and its mechanism of action in secondary immune response.'' Journal of Molecular Studies and Medicine Research, 01.02. (2016): 48-56. Azad, S. A., Shahriyar, S. & Mondal, K. J. Opsonin and its mechanism of action in secondary immune response. Journal of Molecular Studies and Medicine Research, 01, no. 02 (2016): 48-56. Abstract: Proximate and mineral compositions were carried out on the leaves, seeds and roots of moringa oleifera obtained from Okigwe, Nigeria. Mineral and proximate compositions were determined using their various methods of analysis. Results of proximate analysis in percentage showed moisture content in the following range; leaves 4.84, seeds 9.56 and roots 6.06, crude protein; leaves 24.94, seeds, 17.94 and roots 12.25, fat content; leaves 11.50, seeds, 12.60 and roots, 2.66 while mineral content still in percentage showed potassium in the roots 0.850, leaves 0.625, seeds 0.950 magnesium; roots 1.64, leaves 1.277 and seeds, 1.094 and calcium; roots 4.22, leaves 2.91 and seeds 2.61. These results showed that for proximate composition, the leaves had higher values followed by the roots and lastly by the seeds for most of the analysis while the mineral value contents showed higher percentages in the roots and the leaves. Even though all the various parts of Moringa oleifera are nutritionally valuable the leaves and roots are highly recommended for their higher nutritional values. Mgbemena, N. M. & Obodo, G. A. (2016). Comparative analysis of proximate and mineral composition of Moringa oleifera root, leave and seed obtained in Okigwe Imo State, Nigeria. Journal of Molecular Studies and Medicine Research, 01(02), 57-62. Mgbemena, N. M. & Obodo, G. A. ''Comparative analysis of proximate and mineral composition of Moringa oleifera root, leave and seed obtained in Okigwe Imo State, Nigeria.'' Journal of Molecular Studies and Medicine Research, 01.02. (2016): 57-62. Mgbemena, N. M. & Obodo, G. A. Comparative analysis of proximate and mineral composition of Moringa oleifera root, leave and seed obtained in Okigwe Imo State, Nigeria. Journal of Molecular Studies and Medicine Research, 01, no. 02 (2016): 57-62. Abstract: Cassava production is bedeviled by a plethora of biotic constraints among which Bacterial Blight is of most economic important in most cassava growing regions of Sub-Saharan Africa and Asia. Deployment of improved resistant varieties by various research institutes have thus far brought the disease under control, but continuous monitoring remains imperative to forestall further outbreak. For this reason, field experiment was performed to specifically screen six improved cassava varieties for CBB incidence and severity under natural environment at the botany research farm, University of Ibadan, Ibadan, Nigeria. The experimental field was laid out in a Randomized Complete Block Design with four replications each. The plot size was 20m x 41m comprising ridges each measuring 10m with 1m interval. Parameters assessed were disease incidence, disease severity scores and varietal performance for each genotype. Results from statistical analysis of SAS 9.3 (SAS, 2010) revealed that all the varieties expressed moderate to resistant (2.25-1.75) reaction to CBB severity in the field. Pearson correlation coefficient also indicated a significant negative correlation between root yield and root weight. From the foregoing, the result implicitly showed that farmers could reduce the high incidence of CBB in their farms and increase their yield by replacing the local lines with the improved varieties. Government should also organize programs (such as seminars and talk shows) addressing cassava diseases to further enlighten farmers on the importance of adopting improved cassava cultivation. Azorji, J. N., Igwe, C. E. & Kanu, C. (2016). Screening of selected improved cassava varieties for bacterial blight and varietal performance under natural environment in Ibadan, south-western Nigeria. Journal of Molecular Studies and Medicine Research, 01(02), 63-69. Azorji, J. N., Igwe, C. E. & Kanu, C. ''Screening of selected improved cassava varieties for bacterial blight and varietal performance under natural environment in Ibadan, south-western Nigeria.'' Journal of Molecular Studies and Medicine Research, 01.02. (2016): 63-69. Azorji, J. N., Igwe, C. E. & Kanu, C. Screening of selected improved cassava varieties for bacterial blight and varietal performance under natural environment in Ibadan, south-western Nigeria. Journal of Molecular Studies and Medicine Research, 01, no. 02 (2016): 63-69.